The talk focuses on roadmapping efforts in the areas of Mechatronics and Cyber-Physical Systems (CPS). A characterization of CPS is first provided as a baseline, where CPS is related to concepts such as IoT, SoS and Big data. Three strands of roadmapping will then be covered (the last one if time allows): 1. Roadmapping at the European level. CyPhERS (Cyber-Physical European Roadmap and Strategy), a European FP7-project, aims at combining and expanding Europe's competence in Cyber-Physical Systems (CPS). The project is developing a European strategic research and innovation agenda for CPS to ensure Europe's competitiveness. CyPhERS systematically surveyed, analysed, and evaluated the significance of CPS for Europe. Currently comprehensive recommendations for action are developed that identify research priorities, support measures for cooperation, research funding policies, and training and standardization. The talk presents a characterization of CPS as well as the preliminary recommendations. 2. Education roadmapping Education and training are closely related to the investigation and recommendations by CyPhERS. Dealing with the challenges of Cyber-Physical Systems also requires renewed education. An overview is provided of needs, efforts and guidelines for educating the CPS engineer of tomorrow. Implications for Curriculum design are presented and discussed. 3. Roadmapping in Mechatronics and CPS at KTH. The Mechatronics and embedded control systems division at KTH has traditional focus on the following four research areas: (i) Design optimization; (ii) Architecting; (iii) Model-based engineering; and (iv) Safety. The evolving scope of CPS drives an evolution of these topics and in the way that research is carried out. We describe considerations and activities undertaken to grasp opportunities related to this evolution. 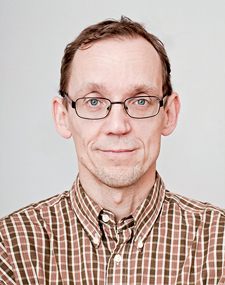 Martin Törngren has been a Professor in Embedded Control Systems at the Mechatronics division of the KTH Department of Machine Design since 2002. He has particular interest in Cyber-Physical Systems, model based engineering, architectural design, systems integration, and co-design of control applications and embedded systems. He has authored/co-authored more than 100 peer reviewed publications, and also been in charge of developing and leading graduate and continued education courses. He spent time as a post-doc at the EU-JRC, and recently returned from a 10 month sabbatical (2011/12) at Berkeley, University of California. In 1996 he co-founded the company Fengco Real-time Control AB, specializing in advanced tools for developers of embedded control systems and related consultancy. In 1994 he received the SAAB-Scania award for qualified contributions in distributed control systems, and in 2004 the ITEA achievement award 2004 for contributions in the EAST-EEA project. He served as the technical coordinator of the international iFEST ARTEMIS project with 21 partners (2010-2013).